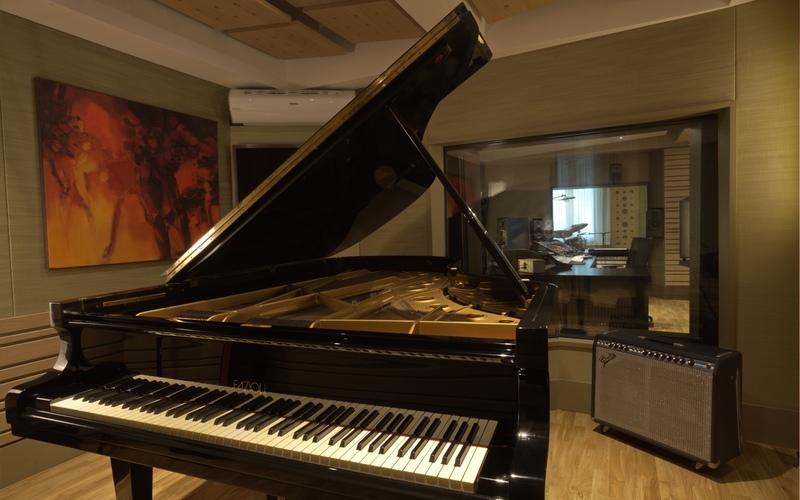 This state of the art facility is approximately 200sqm in total, with a large control room of 40sqm that is surrounded by four clear recording areas that are all acoustically treated. 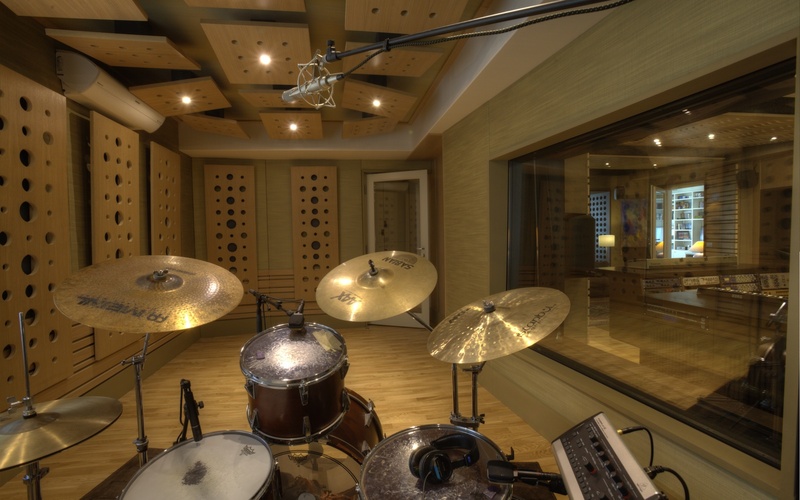 Groups of musicians can play together live - with each player in his individual soundproof space, with a dedicated Personal Mixer system providing individual monitors. 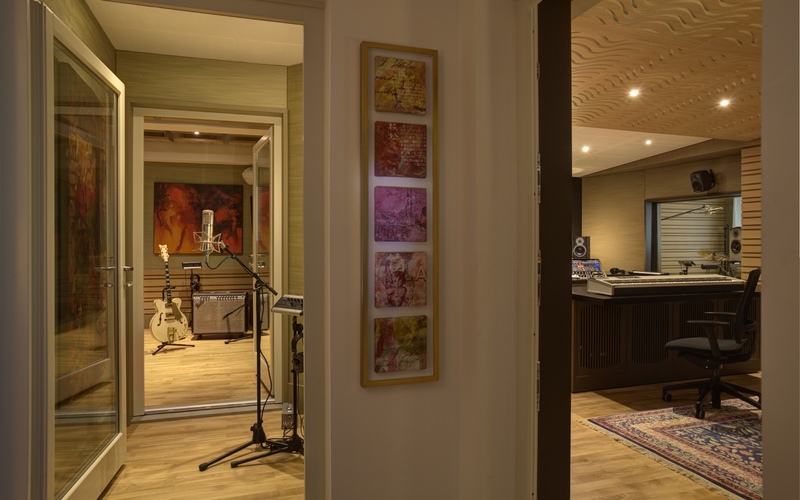 In all the recording spaces there are HDMI connections with a video monitor, a stereo Re-Amp line, two Remote Guitar lines, two Remote Guitar Amps and RJ45 Internet connections. 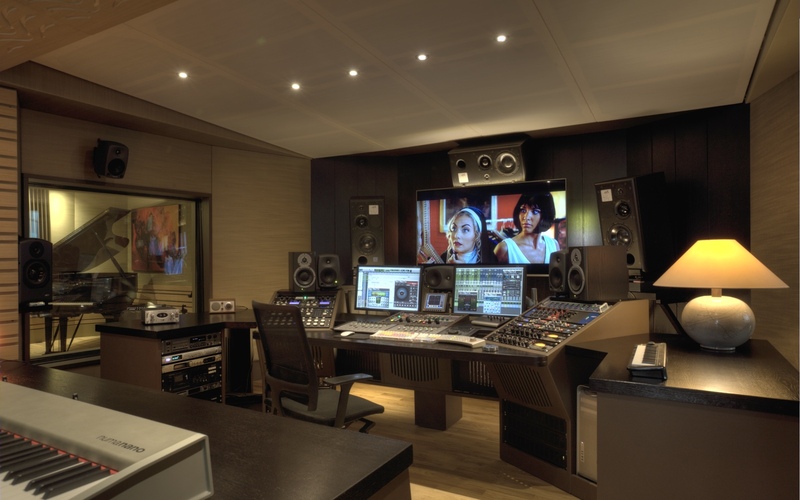 The 7.1 ready Control Room is fitted with a double surround monitor system configuration: I.T.U. for Broadcast content, and Diffuse Field for Cinema content, and a 65” UHD LCD screen for projection. 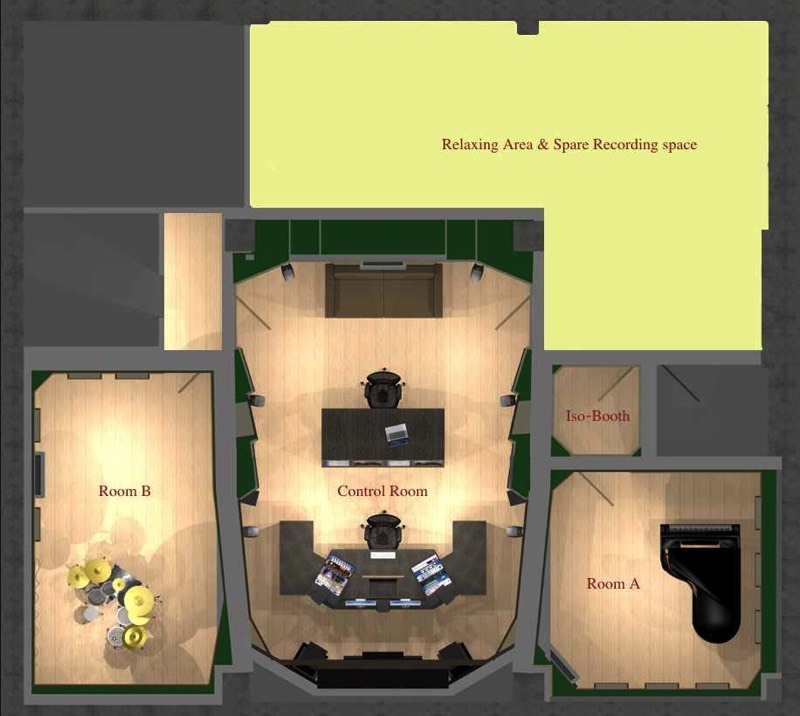 The facility is served by a high speed fiber optics Internet connection. and all Cinema and Tv projects. 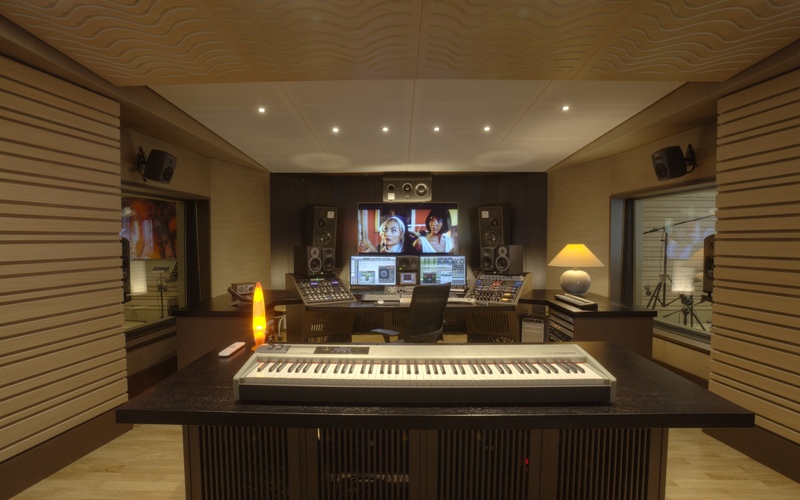 Avid PROTOOLS 11 HDX, Steinberg NUENDO 5.5, Euphonix Artist MIX 16faders. 2x Lynx Aurora-64 i/o, 1x Apogee DA16x, 1x Crane Song Heed 192, 1x Dangerous Music 2BUS. 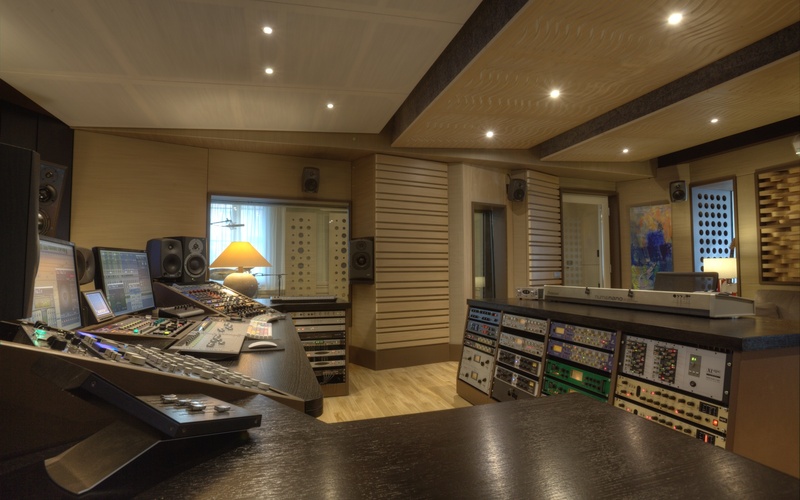 3x ATC SCM50 PRO, 2x ATC SCM20 PRO, 2x ATC SCM01-12 sub, 9x Genelec 8030, 1x 7050 sub, 2x Dynaudio BM5A mkII. Dangerous Music Monitor ST & SR.
AKG 2x 451EB+CK3, 1x 451EB+CK1, 1x D112, 1x D12VR, 4x 414B XLS Audio Technica 4x AT4071A, 1x AT835ST Beyer Dynamic 1x M201 Bruel & Kjaer 4x4011 Coles 2x 4038 ElectroVoice 1x RE20 Neumann 2x TLM50S, 4x TLM193, 2x KM184, 4x KM185, 2x KM143, 2x U67, 2x U87, 2x U87ai Peluso 2x 2247 LE, 1x SR14, 1x P-Stereo Royer 2x R121, 2x R101 Sanken 2x CU44X, 1x SM2C Shoeps 4x CMC5+MK41 Sontronics 2x STC-1S, 1x STC-2 Senheiser 4x 421, 4x 509 SE Electronics 2x SE 1X Shure 4x Beta87A, 2x SM57, 1x SM58, 1x Beta181 Telefunken1x M82. Field Microphones: 4x Countryman B6, 4x Sanken COS-11, 2x Sanken CS-1, 1x DPA 5100, 1x Rode NT-4. 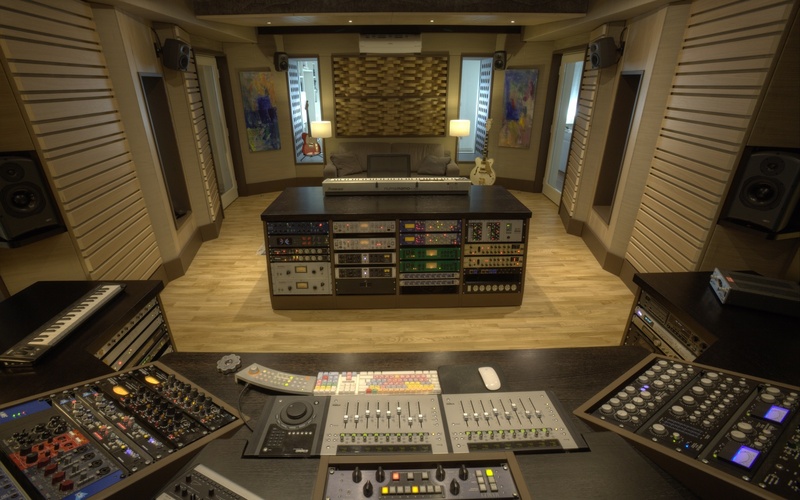 2x Universal Audio LA2A, 2x Empirical Labs DISTRESSOR, 2x Millenia Media STT-1, 1x Thermionic ThePhoenix, 1x Chandler TG1 Limiter, 2x Focurite ISA430, 2x Avalon VT737SP, 2x Universal Audio 6176, 1x Tubetech LCA2B, 2x SPL Channel One, 2x Joemeek VC1Q, 2x API Channel Strip, 2x SSL X-Rack 4000 full channel, 1x API 500VRP, 4x Neve 1073B, 2x Chandler Little Devil 500, 2x TRUE PT2-500, 1x RME MicStasy. 1x Maselec MLA-2, 1x Maselec MLA-3, 1x Maselec MEA-2, 1x Manley BackBone, 1x Thermionic Culture Vulture, 1x T.C.Electronic M6000, 1x Wavelab 7. DK-Tecnologies MSD600M++, HHB UDP89 DVD player, Sony CDR-W66, Sony MDS-E12, Marantz PMD502, 1x Philips 65" & 40” Led monitor. 1x Zaxcom FUSION, 1x Fostex FR2, 1x Sony PCM D50, 1x Sound Devices 442, 1x Sound Devices MM-1, 1x Mackie Onyx 1620I. Radiomicrophones: 1x Zaxcom TRX992 Boom, 4x Senheiser G2 500, 1x Senheiser G2 500 Boom. Radio Headphones: 3x Senheiser EK1038, 3x ATH-M20 Camera Radio Feed: 1x Senheiser EK1038 TimeCode Radio Slate: 1x ACD301RF, 2x TC-TRXB. 1x Apple Macbook Pro, 1x Avid ProTools 11 HD native, 1x RME Fireface UFX , 1x RME MicStasy, 1x RME Octamic D, 1x Mackie Big Knob, 2x Genelec 1029, 1x Sonifex RB-HD1.